Face For Business took a Practitioner Guided approach to working through the Chapter Companion Courses on the Watertight Webschool. “I can’t emphasise how much knowledge and perspective the Watertight Marketing has given me. I am able to plan, judge, create content and think strategically about everything I do in my role. It has really boosted my confidence in marketing. It’s made a huge difference to the business too – we have internal systems and procedures in place that have come as a direct influence from the Webschool course” Sara Parker. Face for Business provides telephone answering and messaging services for businesses of all sizes across the UK. Based near Liverpool, Face for Business was formed in 2012, by entrepreneurial partners Andy and Marie MacGregor. Their clients value working with great PAs who will get to know their business inside out and who interact with their callers as if they were a full-time member of staff. Sara Parker is the Marketing Manager at Face for Business and completed 12 months working end to end through the Chapter Companion courses. She added a monthly half-hour check-in with a Certified Practitioner and dedicated at least 6-8 hours of focus per month to the process. Sara shares her experience of the course and how it has already made a big difference to the business – and her own marketing knowledge. 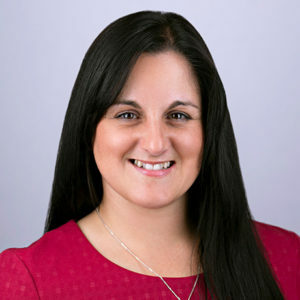 Sara joined Face for Business following a career break and was quickly given responsibility for marketing due to her enthusiasm and success in promoting the business. Although she had worked in research and PR roles in the past, she’d never had any formal marketing training. She wanted a way to update her skills and found Bryony Thomas and Watertight Marketing via Twitter and Facebook. 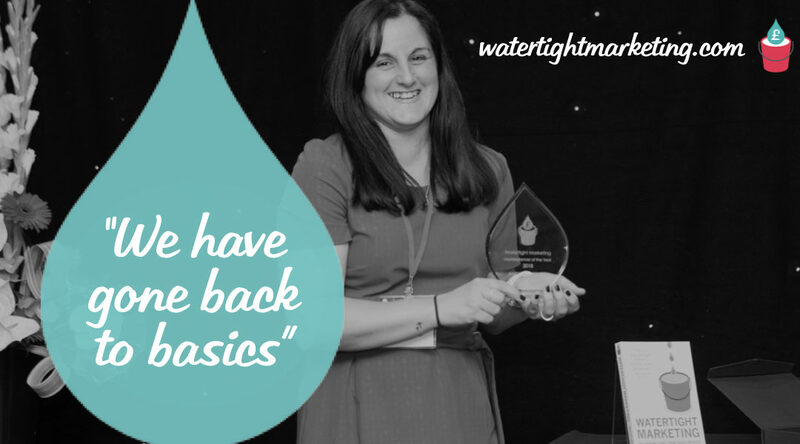 Sara, and Face for Business, started the process in January 2016, guided through by Watertight Marketing Certified Practitioner, Jane Cuthbertson. So what actions did they take? The Chapter Companion courses are based on the multi-award winning Watertight Marketing methodology which looks at marketing from the bottom up. For someone like Sara who was finding her feet in marketing, the analogy of the bucket (the things you do to retain your existing customers) quickly made sense. It’s so logical, but easy to overlook. When you don’t stay in regular touch with customers, they are likely to forget about you. When it comes to buying again, or recommending to friends, your name may not come up. So you need consistent and regular customer communications that proactively address any service needs – and keeps you front of mind. Although customers always have choices it’s often the business that the customer likes the most, or identifies with the most, that will win the order. And, as a business, you need to be the kind of people that buyers want to buy from. An emotional connection shows that human touch, particularly that a business is friendly and approachable. Face for Business had an emotional connection problem. Their brand was based on 1950s vintage images. It was all old phones and stereotypical female secretarial images. Customers weren’t connecting with it. Research showed that people weren’t connecting with the brand. It was a bit like marmite, people either loved it or hated it. As she embraced the Watertight Marketing methodology there was one particular model that helped Sara shape the Face for Business messages – the Logic Sandwich™. The model describes how marketing messages that start with emotion, lead onto logic and then return to emotion are best placed to seal the deal. See related post: Are you serving up a Logic Sandwich™?